In the summer we like to have Sunday “fights.” We invite all our friends to join in with our water fights, whip cream fights, nerf gun fights, silly string fights, etc. The water fights are always the best. We ask everyone to bring their own water gun or bucket and we greet our guest with sniper fire from the roof to get the fun started. We always have a great time which usually ends with everyone wrapped in towels enjoying popsicles on the trampoline. 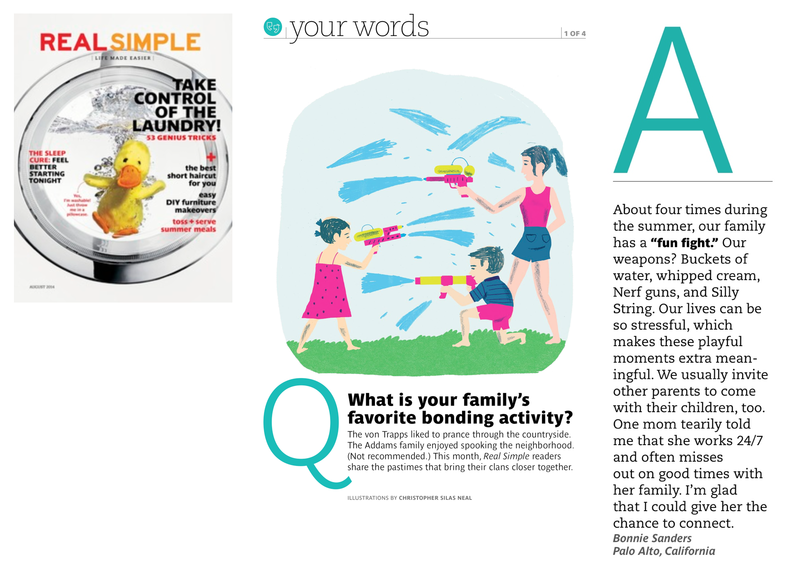 This month our Sunday fights were featured in Real Simple magazine.